Airlines need to be able to run efficiently and safely - and the best way to do this is to ensure you have the best systems and processes in place that can help effectively utilise every aspect of an organisation. The efficient administration of document management is one area often overlooked. Good document management is an enterprise-wide undertaking and can mean all the difference between a smooth-running operation or poor operational effectiveness. Great document management isn’t a quick fix and is a lot more than just a way to store your documents. From both an efficiency and a regulatory compliance perspective a good document management system should add to an airline’s operational effectiveness. Improved processes and procedures should, for document users, provide a better way to update and access manuals, improve information management and be fully reliable during peak periods. Airlines, no matter how large or small, are well acquainted with frequent auditing. Internal and external regulatory audits ensure that the airline operation is safe and is compliant with regulations, thereby allowing it to function commercially, and this includes the ability to be awarded an AOC through to getting a plane airborne. However, airlines hold a range of complex documents and data, and the task of managing them can become overwhelming. The right document management system can help to provide a true record of all changes to OEM and operational manuals; and can link to respective compliance regulations highlighting whether your activities are in line with an airline’s quality requirements. At least 45% of an airline’s costs structure is spent on the likes of ground handling, maintenance, in-flight services, call centres and back-office flight support. As such, any one of these areas can contribute to downtime and impact operational dependency and overhead costs. Using a document management system is one way to support your organisation and re-balance spend, especially where there has been a growing trend in increasing system-wide costs. Find out how the best approach to a document management system can have an enterprise-wide commercial benefit, supporting Accountable Managers, Publishing Teams, SMEs, and End Users. Compliance is an integral key to the day-to-day running of airline operations and ensures that efficient and safe practices are provided in the best way possible. Efficient document management provides a seamless way to get the right information to the right people at the right time - which ensures operations are always running smoothly with fewer errors needing to be dealt with. Airline organisations should consider their document management system as an important enabler for their Safety Management System. The ability to distribute urgent OEM guidance or identified internal safety issues rapidly and effectively is very important. Updates are then embedded in new documentation. Defining and refining the document management process for a complex environment such as an airline, can result in improving departmental resource, save costs and increase efficiency. As such, good document management needs to meet the needs of all stakeholders - all of which have different requirements. Document management is driven by a number of factors as to why manual content needs to be changed. These can include new fleet introduction, amendments to OEM manuals, regulatory changes, external inputs such as NAA advice or internal inputs such as safety changes. Once the need for manual changes has been recognised, the document management process can begin. This is the beginning of the process when data must be processed from the respective points of origin, be it the OEM, regulator, NAA or internal airline department. Such data is often received in various formats and for changes to be made it must be processed into a consistent format. For instance, if editing of OEM manuals is taking place in-house, the team may be using IXP, FrameMaker or even an XML editing tool. OEM updates from Boeing, Airbus, Embraer and other OEMs are only sent in particular formats so the recipient airline must develop a consistent approach to editing also. However, these to tend to be manually intensive to manage for SMEs and in-house publishing teams. Equally there is often a dependency upon both software and editing capability. Once the content has been updated, the final version will need to be NAA approved before it can move to publishing. The publishing process delivers the changed document to all formats required. Should print still be a requirement, this process takes care of all formatting issues such as tables of content, pagination and lists of effective pages. Publication delivers to the highly featured online viewers as well as mobile applications (iOS, Windows, Android), ensuring that all devices are synchronised. This is the point in which the manual changes have now been made live and distributed to the relevant parties. In an ideal world, controlled distribution can be done with the click of a button. However, airlines might use different software or tools solely for distribution purposes but might only allow for PDF documents to be uploaded - this can result in losing out on the benefits that XML source files can have. This stage of the process is the application on an integrated or mobile EFB, or iPad / tablet platform, providing end-users such as pilots and cabin crew with an easy-to-use viewer. Such viewers can include a range of capabilities like filtering, layering, search, multi-media, hyperlinking, personal annotations and more that will allow them to perform their role. Different viewers can have different features, but essentially one that can be used both online and offline, is user-friendly and available on different platforms is ideal. This is where documents are solely managed and maintained by an in-house publishing team relying upon multiple software solutions to get by. The main concern with this is that the document management process can become both a bottleneck and siloed; and an airline can end up managing multiple inputs (IT, software, training, large team etc.) into a system that finds it increasingly difficult to maintain consistency in manual editing and distribution - which ultimately will impact operational efficiency, safety and compliance. While using an in-house team might seem like a cost-saver, during manual revision peaks, airlines tend to find that they simply do not have enough resource and will sometimes enlist technical pilots into technical writer roles - meaning loss of resource, costs and utility. There are many different software-only document management solutions that are available to airlines. The most obvious being direct from OEMs such as Airbus and Boeing or ones from other vendors. However, some software might not be greatly reliable for airlines, especially if it hasn’t been designed with their industry in mind. Additionally, OEM-direct software can be difficult to work with and requires time training employees how to use it. Most software-only solutions are just that and don’t include any support. Equally, upgrades and additions have a knock-on effect upon an in-house publishing team especially if that software either fails or is sufficiently new as to cause production disruption. However, there are hybrid options available where you can purchase the software and also receive a degree of support where required. The downside of using OEM software is often the cost involved in using their in-house service to support updates. A supported service is essentially a hybrid solution where you can get the best of both worlds. Working with a recognised aviation document management supplier means that the airline can review their entire document management system and to define and develop a service that provides significant delivery improvements. This is through using a mixture of specially designed software, the selection of the features required to support their DMS and, if specified, having access to a team of experts who can help manage the editing and production of all OEM and operational manuals i.e. OEM XML manuals during peak revisions. The benefits of this approach mean you can shape your internal publishing team to support a DMS that has greater bandwidth and flexibility. Having access to, or working directly with, an expert team of aviation manual publishers who are used to handling multiple document formats (i.e. XML, PDF, WORD) means an airline’s manual delivery is enhanced exponentially. DocuNet is the industry’s leading airline document management system and is the most powerful document management and distribution solution. DocuNet is capable of delivering your operational library and all mission-critical content across all platforms. With expertise in supporting all aircraft types including Airbus, Boeing, Bombardier and Embraer fleets, the service is currently used by more than 30 airlines. Balancing cutting-edge technology with publishing expertise, DocuNet is an efficient and effective document management system that is a vital component of the safety cycle. The service provides a vital bridge in supporting procedural change and ensuring flight crew are aware of safety and important operational related changes. This completes one component of the virtuous circle of safety improvement towards an even safer organisation. DocuNet has been developed as a combination of both software and a service. 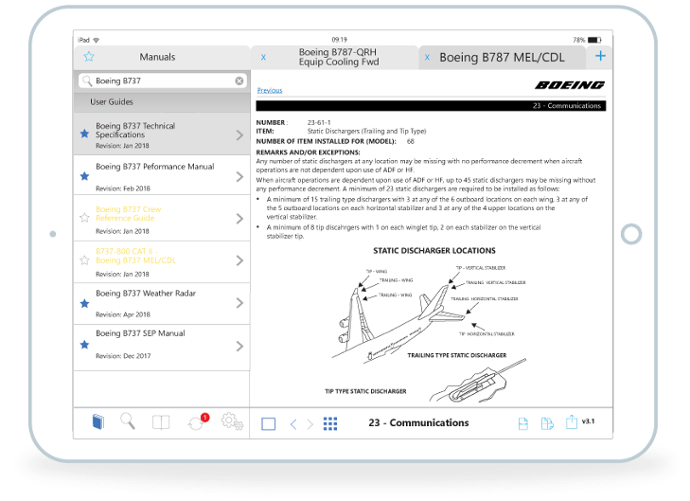 Whilst DocuNet software enables a simple and interactive process for airlines to control the intellectual content of manuals, our service implements these changes to the master structured data within the manuals. DocuNet is a feature-rich package of technology, experience and expertise. The service selected can include content control, publication and delivery to all devices, platforms and destinations. The system has full backend control over manual distribution and EFB monitoring. Innovative features such as web-based resolution of amendment and revision differences (i.e. 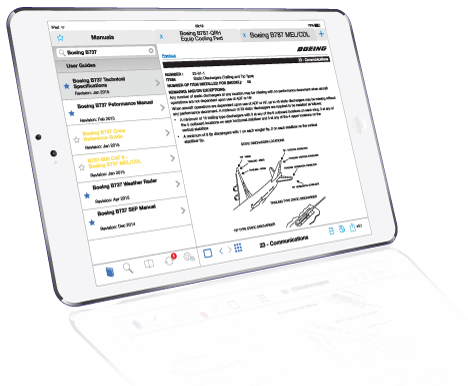 comparison tools) and exceptional user experience including revision-resilient annotations, ensures that DocuNet enhances your live operation, all through military-grade security. Additionally, when it comes to larger and critical OEM manual amendments and regulatory changes, DocuNet aids airlines with the process. Where in-house teams may struggle with updating complicated XML structured documents, these mission-critical changes can be handled by DocuNet’s team of XML experts. This way, it results in helping you retain control of documentation and overall operations. Above all, DocuNet will simplify the associated complexities of manual maintenance, management and distribution, delivering a return on investment with the net result being a more efficient, compliant and safer airline. DocuNet creates consistency in document management and control through its ability to input from multiple sources, including OEM, regulatory and airline manuals. You are then able to harmonise and standardise these inputs to support both version control and easy amendments and updates. DocuNet also provides the ability to distribute to multiple platforms throughout the world using incremental updates (i.e. ‘delta updates’. This approach enables greater control, which has a positive impact on resource management, overall efficiency, safety and compliance. The right document management system can help to provide a true record of all changes to OEM and operational manuals. Using a full-service document management system is one way to support your organisation and re-balance spend, especially where there has been a growing trend in increasing system-wide costs. Airline document management helps provide a seamless way to get the right information to the right people at the right time - which supports the smooth running of an airline operation, a reduction in the number of errors needing to be dealt with, and the provision of a conduit through which safety changes can be formalised. A free insight that helps airlines understand the benefits of revision-resilient annotations in aviation documents, and how they support greater staff knowledge and engagement. An efficient and modern document management system (DMS) comprises several distinct parts, all of which must be perfectly matched if the process is to be both cost effective and efficient. An airline’s inability to fully understand all of the implications can result in a DMS that adds additional complication. Vistair’s DocuNet approach understands this and appreciates that many airline organisations are on an evolutionary DMS journey. As such we have developed a service that supports this change. Depending on which feature an airline is looking to develop and improve, DocuNet has the flexibility and functionality to streamline your selected document management process. Vistair has the ability to flex two primary approaches, our DocuNet Distribution Platform and DocuNet Managed Full-Service, to support the way you would like to work. "As far as DocuNet is concerned, it is pretty much the best software out there”. Learn how a supported document management solution is an affective way of managing your aviation manuals, which in turn helps maintain operational efficiency, optimises costly resources and improves safety and compliance. Over 30 airlines have come to use for their aviation document management requirements - resulting in managing over 250,000 end users and 2,000 manuals. Read testimonials and case studies from our clients and learn how DocuNet helped them improve their operational efficiency, compliance and safety. Vistair is an excellent partner. We know that we can rely on their development work with us as we strive to create the safest possible environment for our passengers. Why do I need an airline document management system? The administration of aviation manuals is a fundamental and necessary feature of an airline’s operational management. For airlines to stay compliant and e­fficient, their manuals will need to be updated quickly and efficiently - a good document management system will enable you to do this. Is an airline document management system secure? This depends on the how and where data is being stored. If an airline is working with an external supplier it is important that a full understanding of the level of cyber security in place can be assessed. Both internal and externally hosted data has cyber security issues to address. 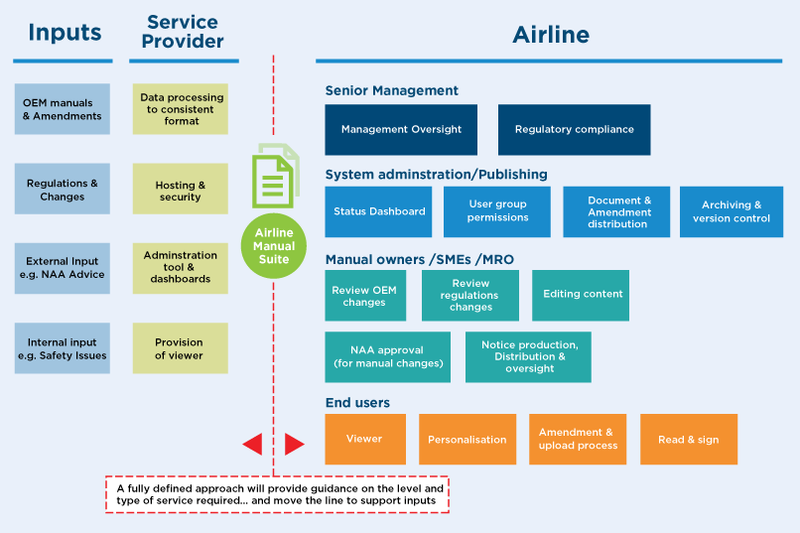 Will a document management system help my airline achieve regulatory compliance? What benefits does XML/SGML deliver to air crew? What benefits does XML/SGML deliver to Technical Authors and Publishers? Both SGML and XML technology can help speed up the editing process through the use of automation of routine jobs and can even provide smart sharing of documents. How does a document management system reduce costs? Time is money, so reducing the amount of time spent managing documents saves money. Choosing the right document management system means you could benefit from a number of additional cost savings in different areas such as IT Infrastructure, incremental Updates, training, and multiple third-party tools. By using a service like DocuNet, will we lose control of our manuals? The ownership of your manuals stays with you, we only follow your instructions. By working with us, you will be freed up to do what you really need to do, without sweating the small stuff. Will DocuNet help my airline achieve regulatory compliance? Yes, DocuNet features a compliance matrix which allows automated demonstration of compliance with regulations such as IOSA. Do you have an EFB certificate? Yes, we have a Class 2 Certificate. With the Ministry of Defence and RAF as our customers, we operate to an ‘official sensitive’ level. All data in transit is encrypted (2,048 bit) to exceed military standards and is double the level of the banking industry. What formats will DocuNet distribute? PDF, XML, Video, Images, SGML. How are version changes made? Full version control is managed by our document services team- plus, archiving of old manuals just in case there is a need to go back to the previous version. How complex can we go to tailoring for an audience? Between filtering and layering, we typically can cover all scenarios needed so that a user can see the documents they need to have access to. Are we able to add Videos to our manuals? Can you embed videos into our manuals? Yes, we offer support for multimedia content. Do you have a user community? Yes - and we've recently launched an online forum for all our customers with the addition of our annual Knowledge Days events. You can view any upcoming events here. Discover how DocuNet is able to support the management, publishing, distribution and viewing of all mission-critical documents. If your airline wants to improve its document management system, and improve both safety and compliance, then request a demo with our experts to learn more.